I find this time of year really magical, maybe it's all the fairy lights, candles, pretty decorations and get togethers with family and friends that make me feel grateful for all that I have... I've been trying to write this post in my mind for the past few weeks and it has almost been too exciting for me to put it into words... but the time has arrived to write and to share some lovely news with you... Mr C and I are engaged! We have had a wonderful few weeks of keeping the news to within our closest friends and family. Mr C seemed to time our engagement at a perfect moment when we had arranged to see almost all of our family and friends over the coming weeks. It really has been very special and we still have celebrating to do, tomorrow is the big annual Christmas gathering with the majority of Mr C's family (with family over from Australia this year too) and seeing friends on the run up to the end of the year. The past few weeks have felt a little surreal... from the day we got engaged, to phoning our parents and telling them our news, to finding the perfect ring in a small family owned jewellers in Clifton that I've always dreamed of getting my engagement ring in. We've been flooded by cards and wonderful messages of congratulations. I've received some great advice from dear friends who have got married recently and know how I'm feeling right now. I'm still a little overwhelmed and a little shocked. I have moments of welling up with happy tears, as I read beautiful messages in cards from best friends and receive thoughtful gifts...I think that things are still very much sinking in. 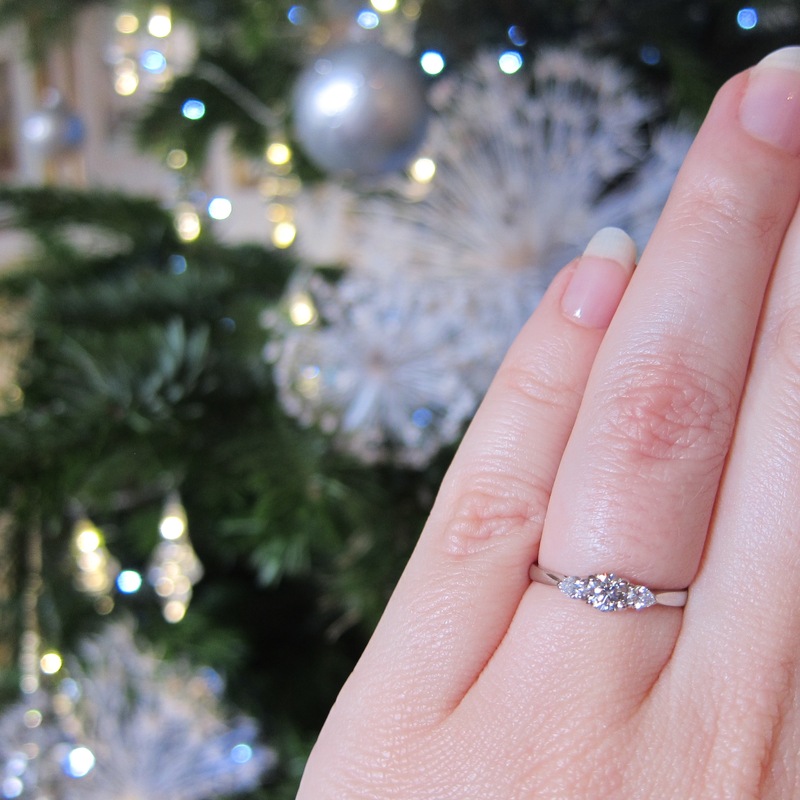 We are both really happy and getting engaged has created some irreplaceable and totally wonderful new memories of Christmas time and the month of December for us both. I'm enjoying the giddy feeling and trying to remember and capture the moments. At the moment we are not too sure when we are getting married but hope to in the next year or so. I have started to think of a few ideas for the big day, pinning ideas on secret boards in Pinterest, and thinking about all things handmade that I can create for our day that symbolise the moments of our lives together so far. I'm sure that a few handmade wedding ideas will pop up over on here in time. I hope that you are all having a restful Christmas break and wish you a fantastic 2016. See you in the new year!